West Coast Walk is a self-guided walking/hiking holiday. 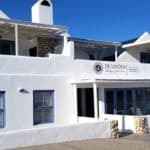 It is an opportunity to view the unique West Coast of South Africa and experience life in the fishing villages St Helena Bay (Shelley Point), Paternoster and Jacobsbaai. View this unique coast and experience life in the fishing villages between Shelley Point (St Helena Bay) and Jacobsbaai. You will walk along gorgeous beaches and at least 30 bays, each with their own unique characteristics. Enjoy long stretches of unspoilt white sand and little coves of alternating rock and sand. The seafood from the West Coast is legendary, and the Shelley Bay-Jacobsbaai area has no shortage of excellent crayfishing, fishing and diving spots. A number of different species of cetaceans (dolphins and whales) move through the nutrient-rich waters of the West Coast, fed by the Benguela current. On your route you might spot seals,dolphins and whales. Obviously sightings can not be guaranteed but southern right whales are regular visitors to the west coast from middle winter onwards with the most sightings in December. The presence of dolphins is less predictable being ultimately dependant on the availability of food. Probably Heaviside’s dolphins will be sighted in Britannia Bay when the northwester picks up. Good viewing points are at Shelley Point and Paternoster. On land every spring, from August to September/October, the apparently barren soil of the West Coast, from the mountains to the ocean, bursts forth in a kaleidoscopic carpet of flowers. Many tourists are drawn to this glorious and world famous annual display. Unique coast Gorgeous beaches and at least 30 bays, each with its own unique characteristics. Enjoy long stretches of unspoilt white sand and little coves of alternating rock and sand. Dolphins and Whales A number of different species of cetaceans (dolphins and whales) move through the nutrient-rich waters of the West Coast, fed by the Benguela current. On your route you might spot seals, dolphins and whales. Wild flowers Every spring, from August to September/October, the apparently barren soil of the West Coast, from the mountains to the ocean, bursts forth in a kaleidoscopic carpet of flowers. Nature Reserve The reserve at Cape Columbine is on a peninsula and covers 263 hectares of gorgeous wild, rocky coastline. 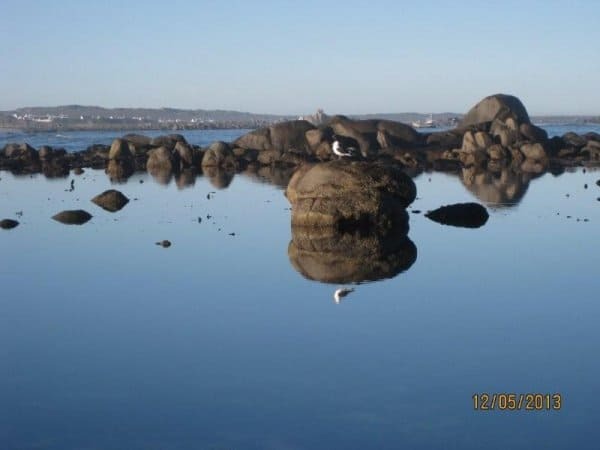 The huge round rocks just inside the bays are ideal for the sightings of dolphins and whales- in season. The Cape Columbine lighthouse is the only brick and mortar in the reserve. Built in 1936, it was the first South African lighthouse to receive all navigational safety features.It is usually the first lighthouse sighted by ships coming from South America or Europe. 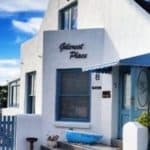 Accommodation 4 star standard hotel or guesthouse.The seafood from the West Coast is legendary. 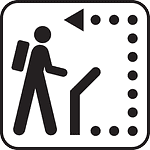 Other activities Other activities in the Westcoast area can be added to the walking package. Day 3: Day 3 starts in the fishing village of Paternoster along the beach to Cape Columbine Nature Reserve and Tietiesbaai. During winter the Tietiesbaai area is usually quiet. In the summer months the crayfish season attracts many campers and results in much activity. The Cape Columbine Nature Reserve contains typical West Coast fynbos and also succulent Karoo scrub. From August to September/October the area is adorned by a bright tapestry of wild flowers. The route follows the rocky coast and there are beautiful pools for swimming. The day’s walk ends at Trekoskraal. There are 9 bays between Paternoster and Trekoskraal. Day 4: Day 4 explores the coast between Trekoskraal and Jacobsbaai. You will be able to view more of the unique coast. Follow the tracks from Trekoskraal via the dunes and beaches of Wesbaai. 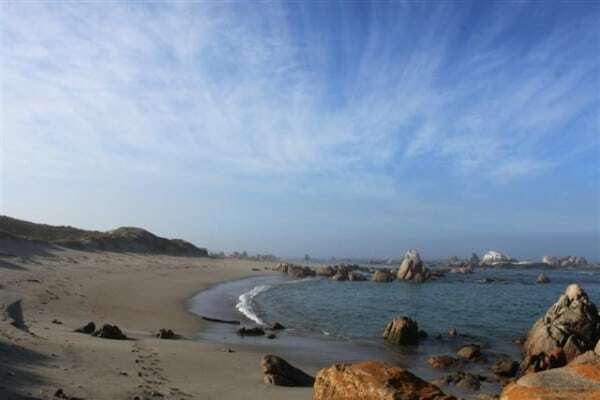 On this hike one might spot seals, dolphins and whales – from mid winter onward with the most sightings in December. Wild flowers can be seen from as early as July to as late as November. Stay at some of West Coast’s finest hotels and guesthouses and visit restaurants serving mouth watering international cuisine. A variety of establishments has been selected, offering differences in character. All bookings are subject to availability. Click on the pictures to view the high standard of accommodation. The rate for the Standard option is R7 375 per person for two people sharing. 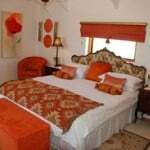 For a group of 4, with 2 people per room, the rate is R 5 530. It will be 4 star standard. Superior accommodation is also available. The rate is available on request. 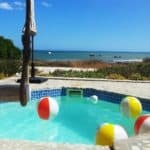 During low season (May-July) the holiday may be available at a reduced rate. A minimum of 2 people per group. The above rates apply for groups of two or four people. 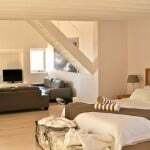 Costs for single accommodation or an extra night or more than four people per group, available on request. Lunches, snacks, drinks with meals. Overall rating is Moderate. You do not need to be ultra-fit but certainly able to walk between 12 and 20 km per day and be able to cope with undulating countryside and some hills. The route takes you along sandy beaches, seaside paths, along field and tracks and along country roads. Your holiday can be extended or amended to include additional activities. The costs of these options are not included in the rate of the standard 4 Day trip but is available on request. Any time of the year, but we recommend spring or autumn. 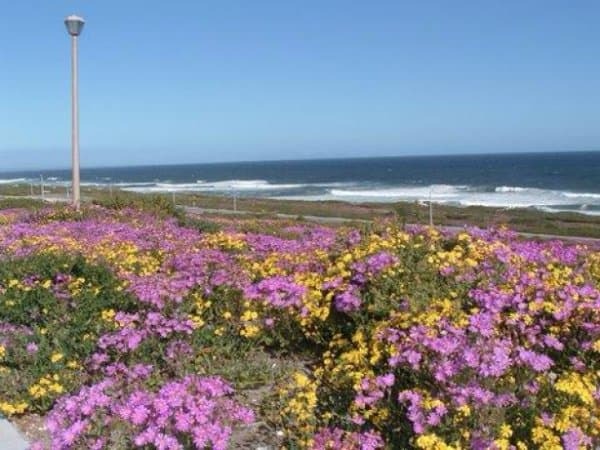 During spring, late July to beginning October, the normally dry coastline becomes a wildflower tapestry. This is normally the highlight of the year. A beautiful autumn day or windless winter’s day on this coastline is a gem and something to experience. The winter temperature is mild and the West Coast is a low rainfall area During the winter (low season) accommodation is normally more freely available. It is a good option for local guests who are either prepared to accept weather risks or can change their plans based on 7 day weather predictions. During December and January (high season) strong south easterly winds can be unpleasant. The West Coast is a semi arid region. The climate is influenced by the Atlantic (cold water) ocean. In summer the West Coast is hotter, drier and more windswept than Cape Town. It is consistently windy, especially during the blustery summer months. It becomes increasingly drier further north and fog banks hug the coastline in winter. Spring is a great time to visit when spectacular wildflowers appear in the fields . Peak flower season is July to September after the winter rains. For international visitors: Fly to Cape Town International airport and from Cape Town to Jacobsbaai by car. Comfortable, well aerated clothes in keeping with the season. Always bring a pullover / windbreaker, good walking boots (already worn-in) and several pairs of cotton or wool socks. For daily needs, it is advisable to take a day-bag, a plastic bag to line the day-pack (to protect the contents from rain), rainwear, a sun-hat, sunglasses, sun block, a water bottle, plastic picnic boxes (for transporting lunches), first-aid kit , camera and film, torch/flashlight, extra plastic bag for litter. It is recommend that appropriate holiday insurance be arranged with cover against illness, injury, and loss or damage to luggage. This insurance should also cover any possibility of cancellation for any reason. 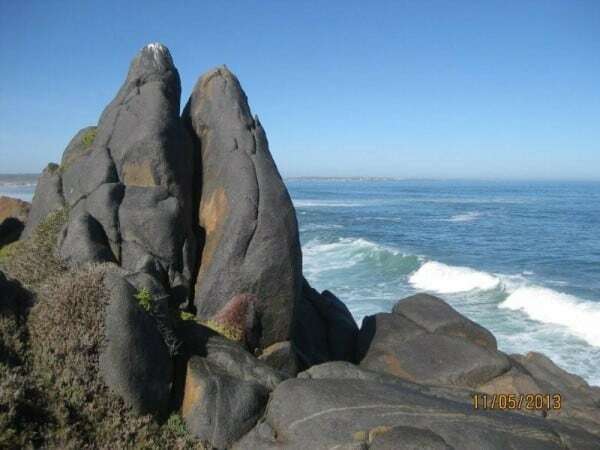 You can enjoy Paternoster, Jacobsbaai, gorgeous beaches and view whales and wildflowers (in season) on the West Coast Walk– a self-guided walking/hiking holiday. To find out more about the area, go to Read more . The West Coast Walk is a convenient way to see and experience the atmosphere of this unique part of South Africa.